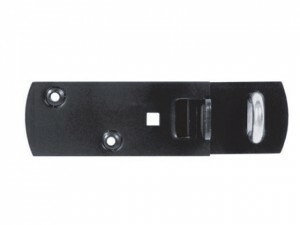 1 x MasterLock High Security Solid Iron Hasp 140mm Specification Length: 140mm.Bore: 11mm. 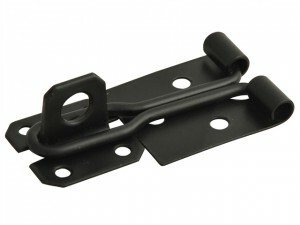 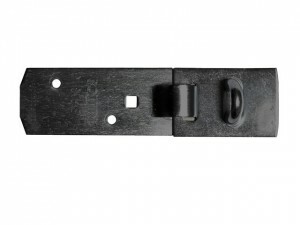 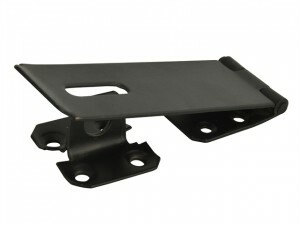 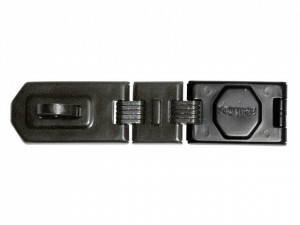 The FGEHSTPBK115 Hasp & Staple has the following specifications: Finish: Black.Size: 114mm x 38mm. 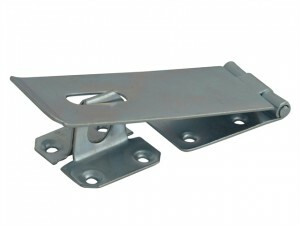 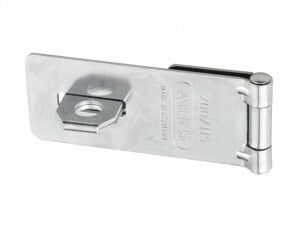 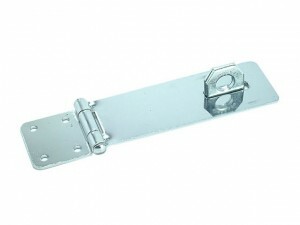 The FGEHSTPZP115 Hasp & Staple has the following specifications: Finish: Zinc Plated.Size: 114mm x 38mm. 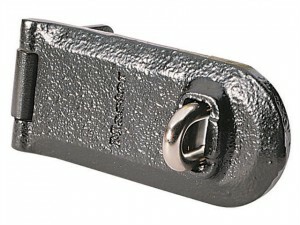 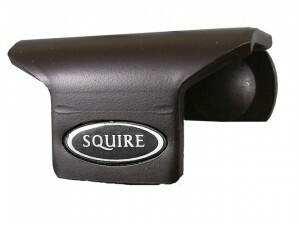 The Henry Squire NO.6H Clam made from hardened steel with an anti-corrosion finish. 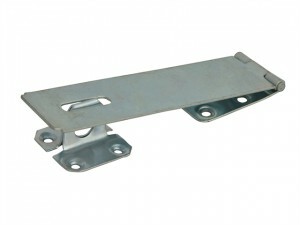 Length: 152mm.Width: 44mm. 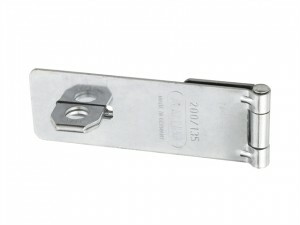 ABUS 300/100 Locking Bolt Specification Shackle Bore: 9.3mm.Length: 100mm.Width: 39mm. 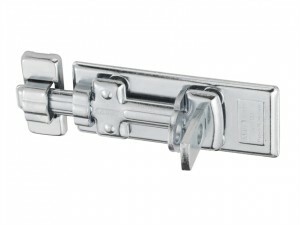 ABUS 300/120 Locking Bolt Specification Shackle Bore: 10.5mm.Length: 120mm.Width: 46mm. 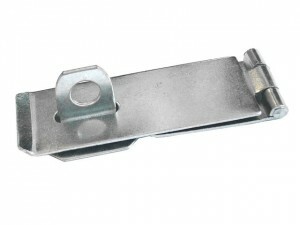 Length: 135mm.Width: 39mm.Shackle Bore: 13.5mm.